Saturday, March 30th: 10:00 a.m. to 4:00 p.m.
Sunday, March 31st: 12:00 p.m. to 4:00 p.m.
in this fun, family event. The sap will be running soon and we will be making a fresh supply of Britt Family Pure Maple Syrup for the 2019 year. Look for our Britt Family Pure Maple Syrup containers on store shelves. ​The Britt Family Pure Maple Syrup Farm is owned and operated by Bill & Cyndie Britt and is located at their home in Tawas City, Michigan. When possible their children, Bethany, son-in-law Nicholas, Shanna and Heather, assist with the family business. 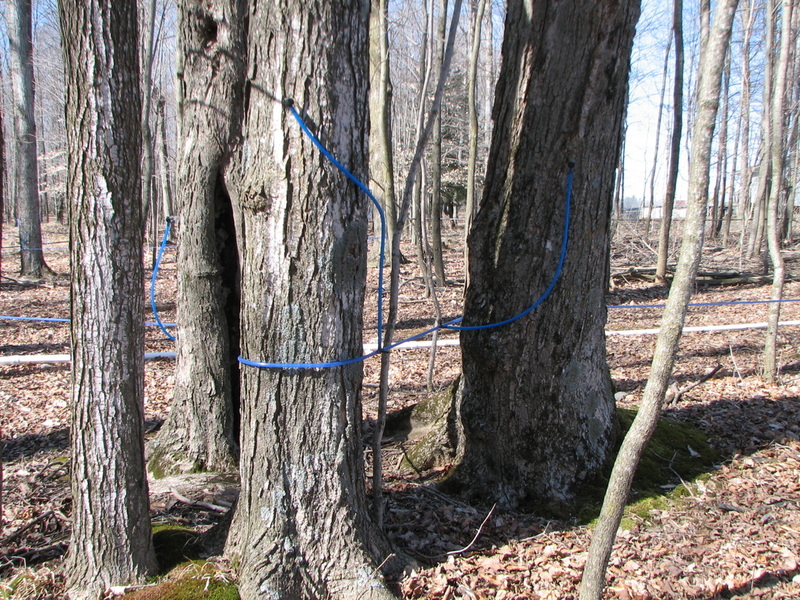 Some neighbors, family and friends also assist with the sugaring process in the spring. Producing Pure Maple Syrup for the Britt family is a tradition that dates back over 100 years; however, the Britt Family Pure Maple Syrup Business began in 1998. The Britt Family Pure Maple Syrup Farm offers Pure Maple Syrup, Pure Maple Sugar Candy, and Pure Maple Cream. In the spring when the weather begins freezing at night and rises to above freezing during the day, the maple trees are tapped. We have approximately 2,000 taps to put in each year. 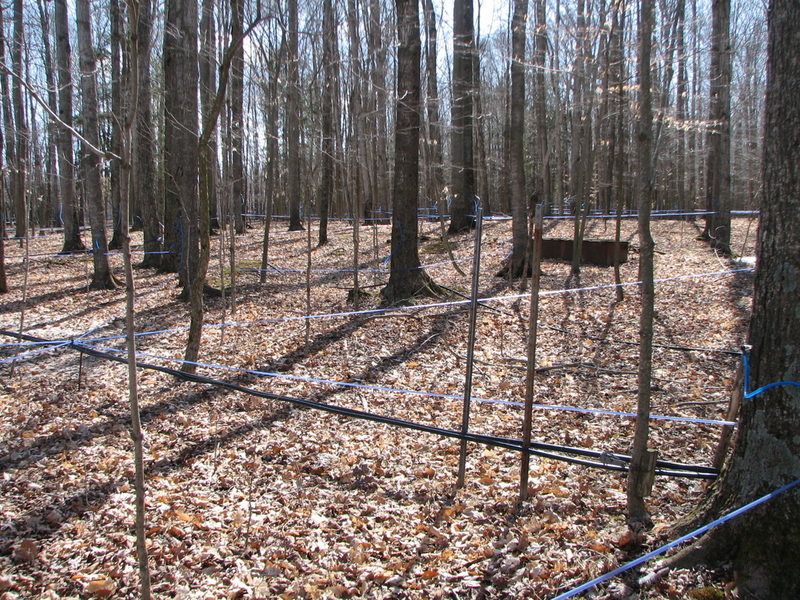 The system is up and ready to collect sap in just a couple days. The record sap collection in a 24 hour period is 4,500 gallons. The Britt Family Pure Maple Syrup is 100 % Pure Maple Syrup.